With a delightful mix of rock n roll, jazz, pop, country and indie - Michael Bublé and guests will offer something for every music fan this summer. Michael Bublé’s classic voice, endearing charm and sheer panache have helped him carve a unique place in the hearts of fans around the world, lighting up pop charts since his debut album in 2005, bringing jazz standards to a new generation while scoring his own original hits including the unforgettable global smashes "Home’, ‘Haven’t Met You Yet’, ‘Everything’ and ‘Lost’. 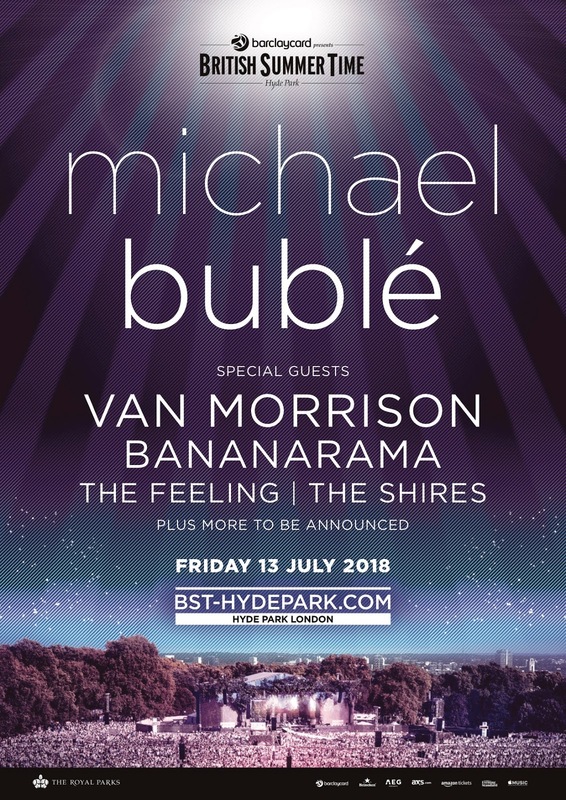 His Hyde Park show is a UK exclusive performance of 2018. With many more guests to be announced, the headliners for Barclaycard presents British Summer Time Hyde Park 2018 are: Roger Waters (6th July), The Cure (7th July), Eric Clapton (8th July), Bruno Mars (14th July) and Paul Simon (15th July). 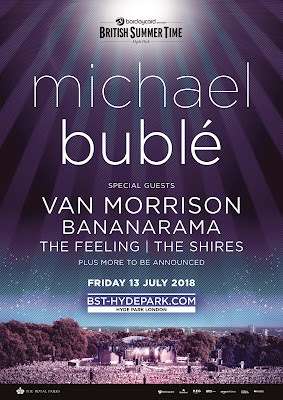 Embarking on its sixth year, Barclaycard presents British Summer Time Hyde Park is now one of Britain’s biggest and best summer events, attracting some of the greatest names in music to the heart of London’s beautiful Hyde Park.